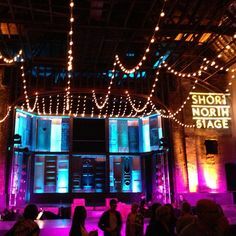 Short North Stage is a professional theater company dedicated to bringing first-class live performance to the Short North Arts District. Residing in a distinctive performing arts venue, the historic Garden Theater, Short North Stage hosts and produces performances weekly, ranging from Broadway classics and edgy off-Broadway musicals, comedies and dramas to cabarets, dance and everything in between. With three performance venues within the Garden Theater, including the original main auditorium, the intimate Green Room, and Ethel's Stage Left Lounge, each show brings a truly unique experience.